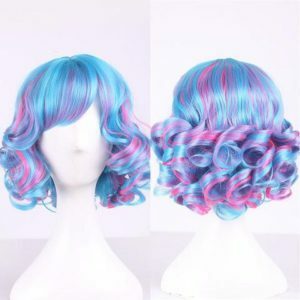 Home | Wigs | Synthetic or Real Hair Wigs? Synthetic or Real Hair Wigs? 1) Holds style. Whether it gets wet, or it’s humid outside, those curls or bounce will stay! 2) Relatively low cost, meaning more options to buy more then one! 3) Easy maintenance, synthetic wigs requires very little daily care. 1) High shine, which can look slightly unnatural. 2) Cannot change style or colour, since the fibres do not react well to heat or dye. 3) They do not last as long as human wigs. 1) You can style with heated hair tools, allowing you to change up the style daily. 3) Versatility in colour, since dying the wig is no problem. 4) Last much longer then any other type of wig. 1) Cost, real hair wigs are much higher in price. 2) High maintenance. Like real hair, the hair has to be styled, washed and conditioned often. 3) Delicate. Again, like real hair, you have to be careful with heat resistant spray and not damage the ends. Wigs can change the lives of people for the better! Do your research before you invest in a wig, each will have different needs to suit each person and their personal schedule and abilities. For your wig needs, purchasing, styling and maintenance contact Caralyn’s, your hair experts!